I'd be lying if I said I didn't enjoy a good champagne drink year round, but New Year's Eve is especially exciting because it's flowing like water, folks! 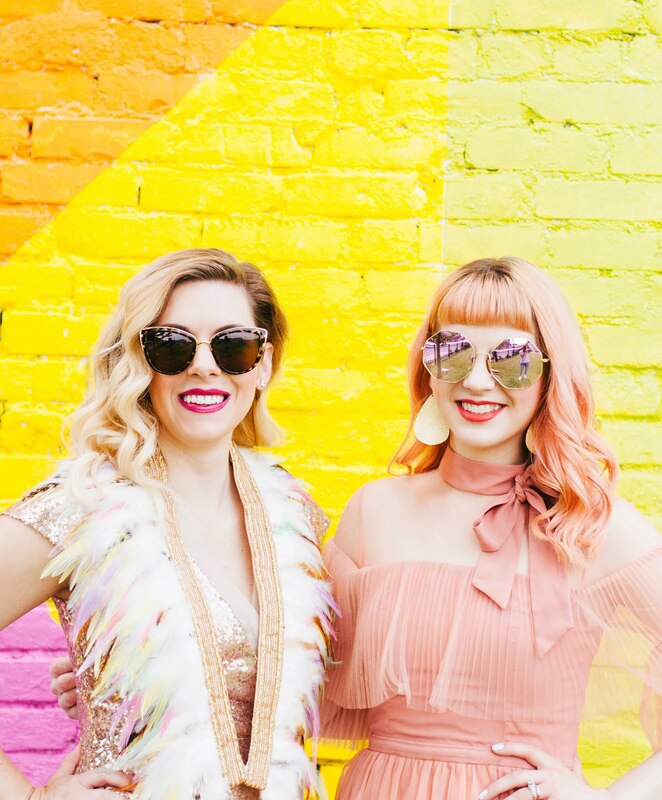 Champagne feels fancy, but it doesn't have to be fussy or break the bank. 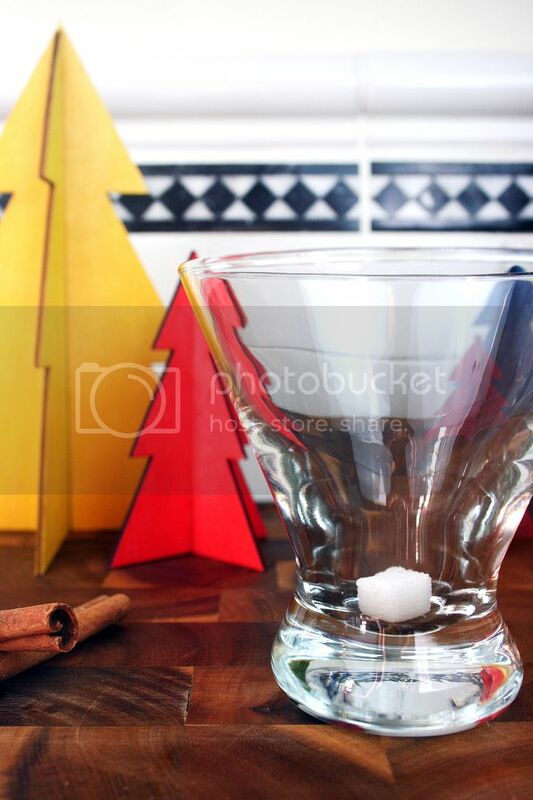 This fun take on a traditional champagne cocktail, with an extra wintery twist, would be perfect to serve at or take to any party you may be attending. 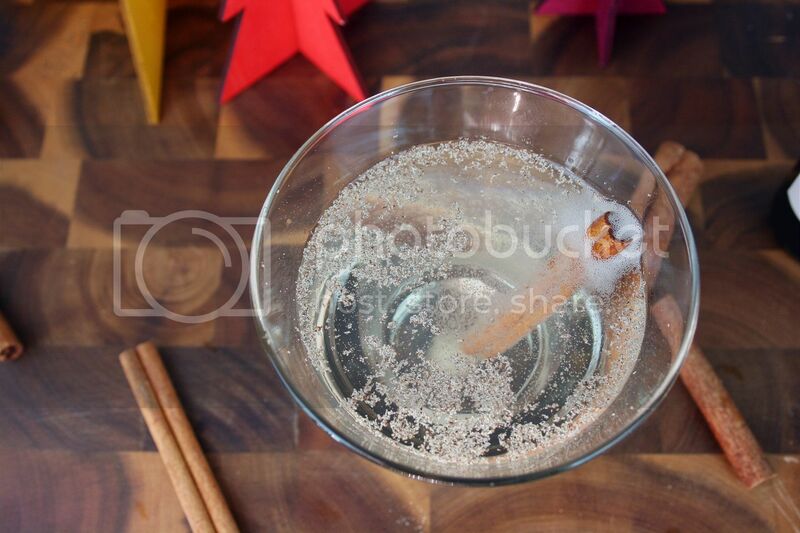 This fancy-pants drink is so simple, and it's perfect for parties because of the fun and interactive aspect of watching the sugar cube bubble up and disperse in the champagne. 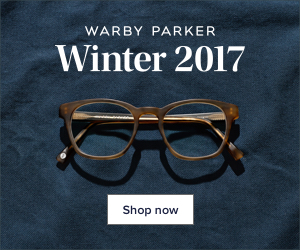 It will look like you took ages to concoct it, but it comes together in mere seconds! Without further ado, let's get bubblin'. 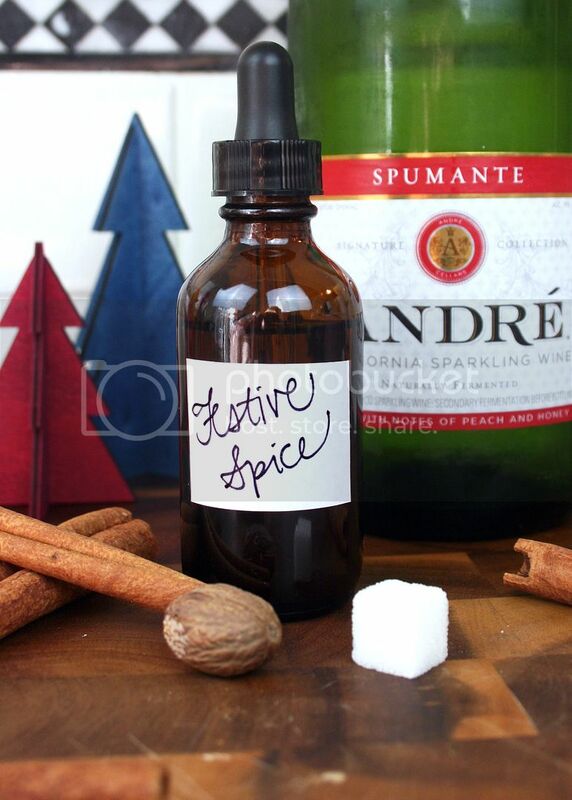 Simply place the sugar cube in the bottom of a martini glass or champagne flute and squirt one dropper full of Festive Spice Tincture to saturate. 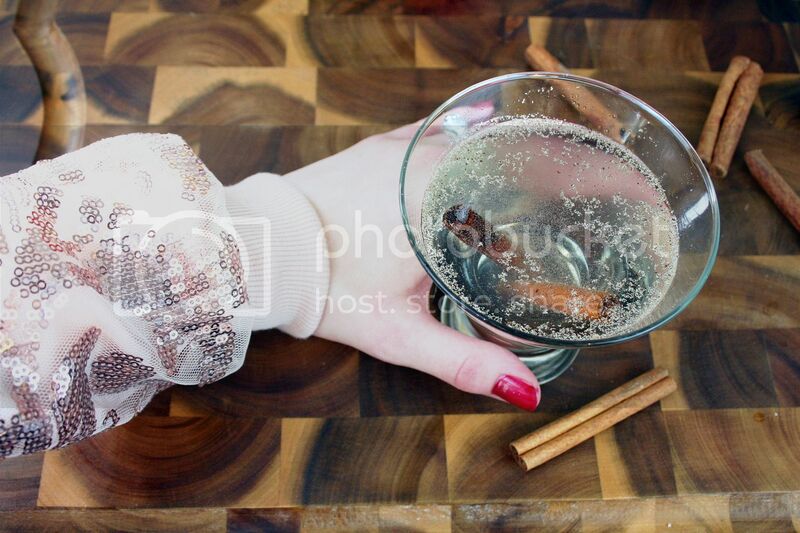 Fill the glass with champagne and swirl to combine with a cinnamon stick. 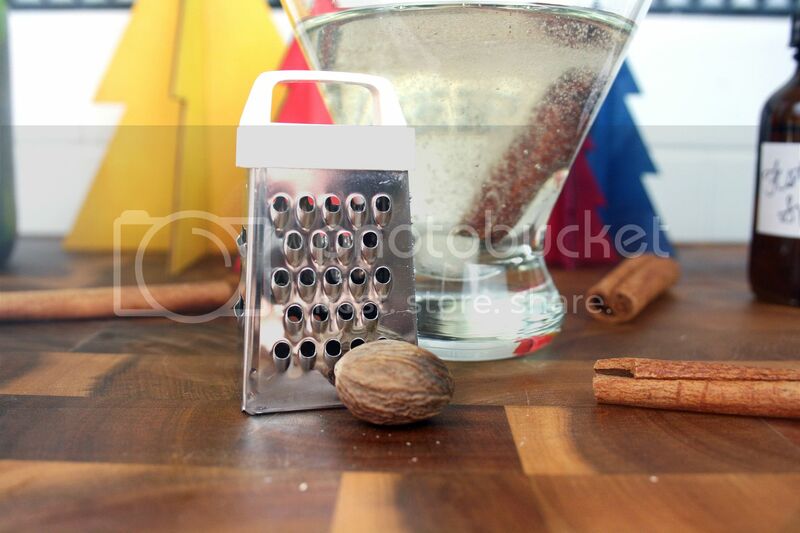 Garnish with freshly grated nutmeg. That's it! 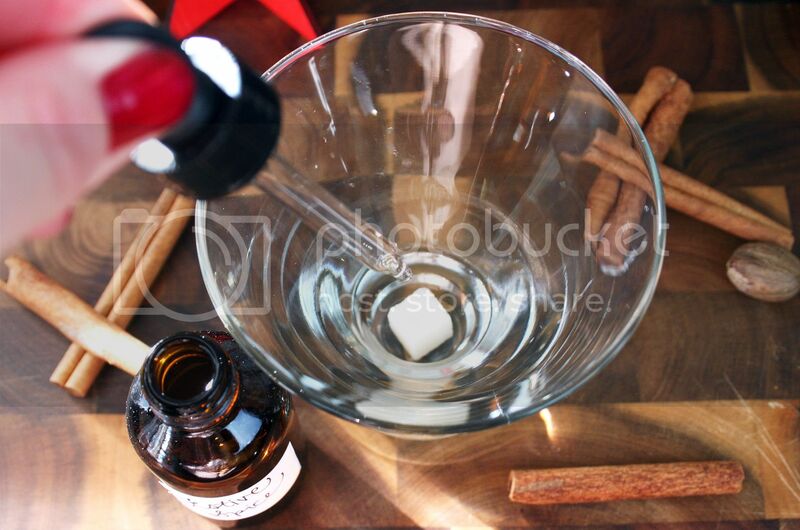 The tincture gives the drink a wonderful aroma and slightly spicy undertone that's perfectly wintery. The whole sugar cube won't dissolve, so don't worry about it being too sweet either! What's your favorite recipe to ring in the new year? That sounds so delicious! Have to try it ^^.